Ferrari does not want to break with the championship battle and will test a new floor in America. Although Sebastian Vettel needs a miracle to catch Hamilton, the team is not afraid to bring updates. The update to the SF71H in Austin focuses on the bargeboard and the floor, while the aerodynamic change is aimed at increasing performance. 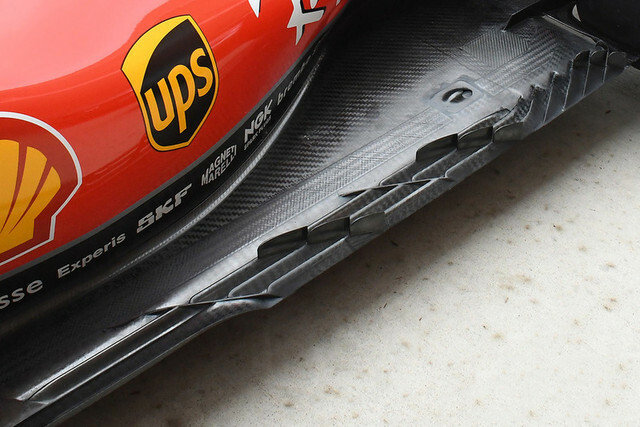 On the front side of the rear tires, Ferrari put two additional flaps on the upper side of the side channels. This design will be effective in regulating the air flow around the rear wings. Another task of the fins is to remove the rubber parts from there. While trying a new floor in Japan, rubber pieces blocked a gap at the rear edge of the base and eliminated the aerodynamic advantage of the new design. Keeping the parts away from that hole can serve more stable performance and help the team achieve the results in the wind tunnel. 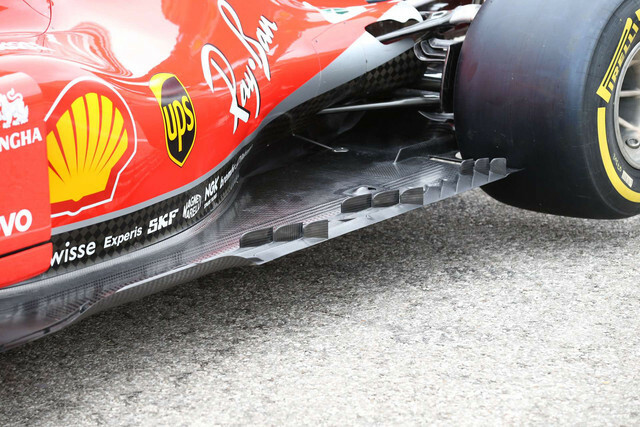 At the back of the floor, Ferrari expanded the space at the edge of the diffuser, similar to Red Bull. Ferrari also made changes to the bargeboard and added new fins.